The Xtender Battery Regenerator is a new product available exclusively from Flight Systems Industrial Products (FSIP). 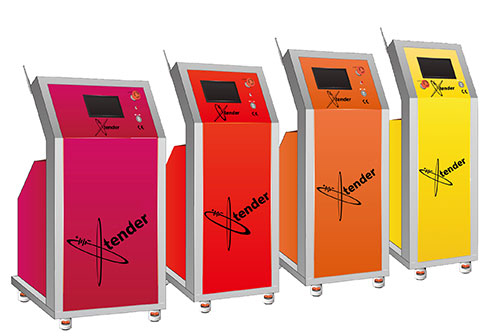 The Xtender is a combination of multiple machines, designed to restore all types of lead-acid batteries commonly used in the material handling, golf, telecommunications, UPS, utility and transportation industries. Sulfation of batteries is the main reason for capacity and efficiency loss, and the Xtender uses a high frequency pulsation process to break-down these crystals. In less than 48 hours, this revolutionary machine can safely discharge, desulfate, test and recharge all types of lead-acid batteries. Xtender product features include fully automated with touchscreen programming of voltage & current, solutions for a full range of battery types and specifications, capacity reports, optional cell monitoring sensors and more.